It was a brilliant day for a drive. One of those days where the sun feels like summer but the breeze feels like fall. One of those days where you can't help but gather up a couple of pals and head to the pizza farm. 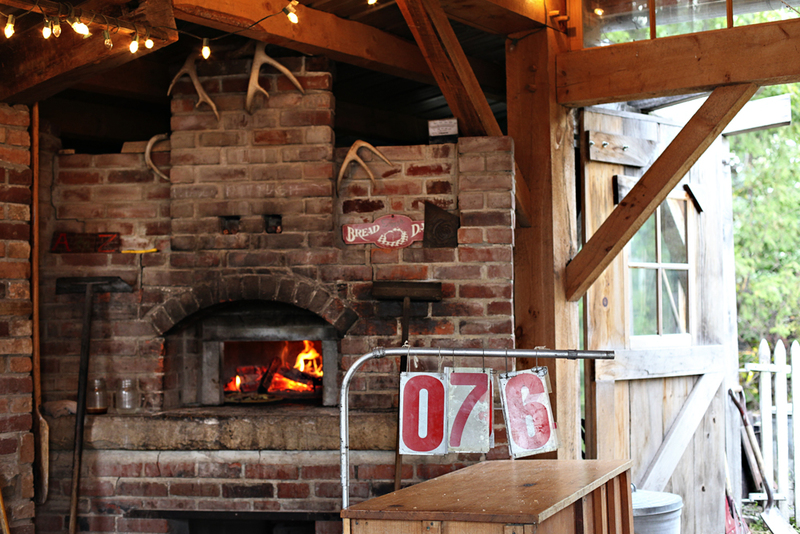 If you aren't familiar, the pizza farm phenomenon of the Upper Midwest is like something out of a dream. In fact, I'm sure I dreamed it when I was seven years old, following an epic day where I went to the petting zoo and then ate a personal pan pizza I'd earned via BOOK IT!. Anyhow, years later pizza farms exist (so does BOOK IT!, by the way). The countryside is now dotted with dozens of working farms making pizza with their own harvests. 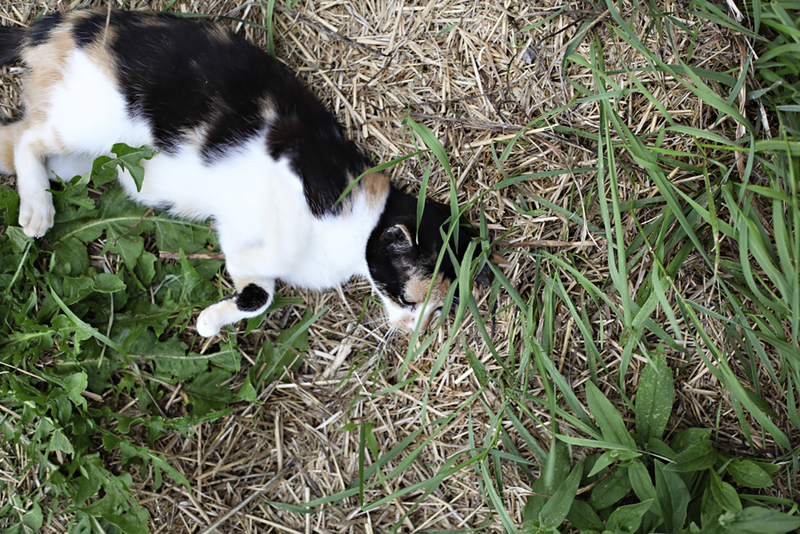 Much more than just an excuse to have pizza and baby goats in close proximity, the pizza farms of this region represent the very best of the Midwest's farm-to-table culinary landscape. 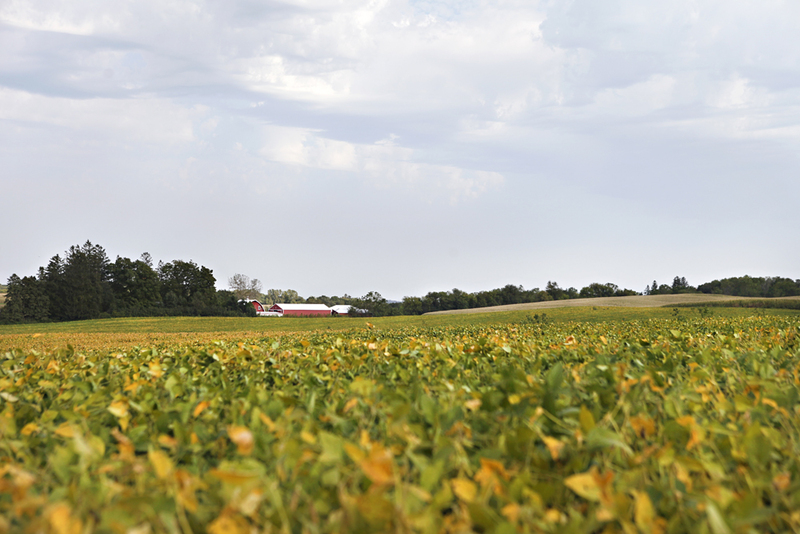 They connect us directly to the land and the hard-working people that grow our food. They provide a regular gathering place for rural communities and are also a huge draw for city dwellers to explore these small towns. 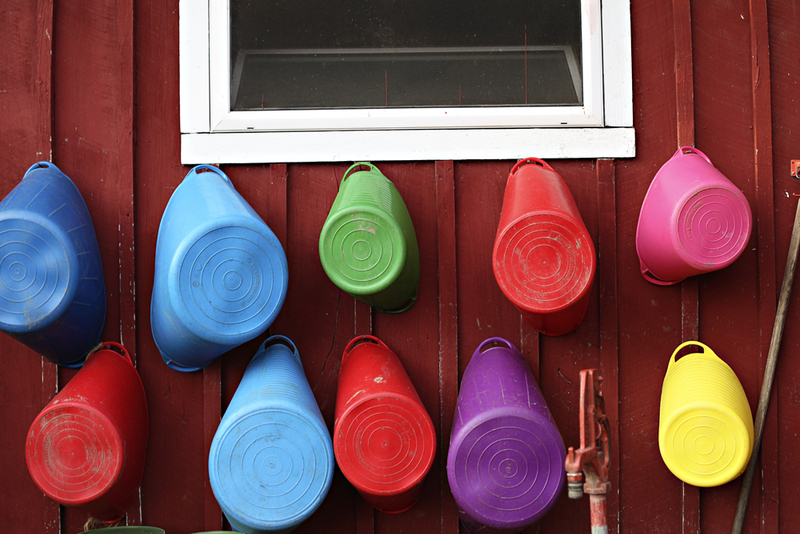 So when Genuine Thermos® Brand generously offered to sponsor a Midwestival road trip this fall, we could think of no more fitting destination than A to Z Produce in Stockholm, WI — one of the most established and enchanting pizza farms in the area. Armed with our wonderful new Thermos brand gear for the journey, our three-piece band of day trippers set off for an adventure down the Mississippi River. 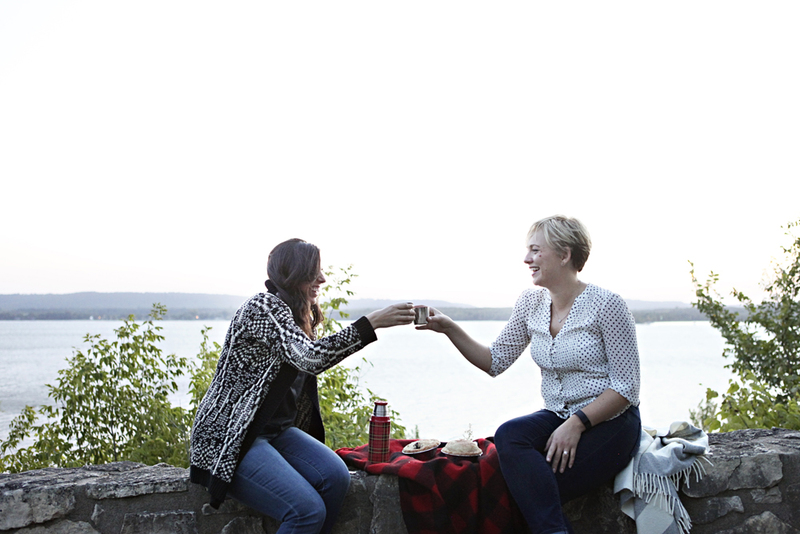 From Minneapolis, we made our way across state lines through historic Prescott, where the Mississippi and St. Croix rivers meet, make friends and decide to travel to the Gulf together. We drove down the Great River Road past Bay City, a sleepy railroad town. And we waved hello to baby Laura Ingalls Wilder at Lake Pepin, where the river opens its mouth wide enough to pass for a lake and where Pa Ingalls built a little house in some big woods. 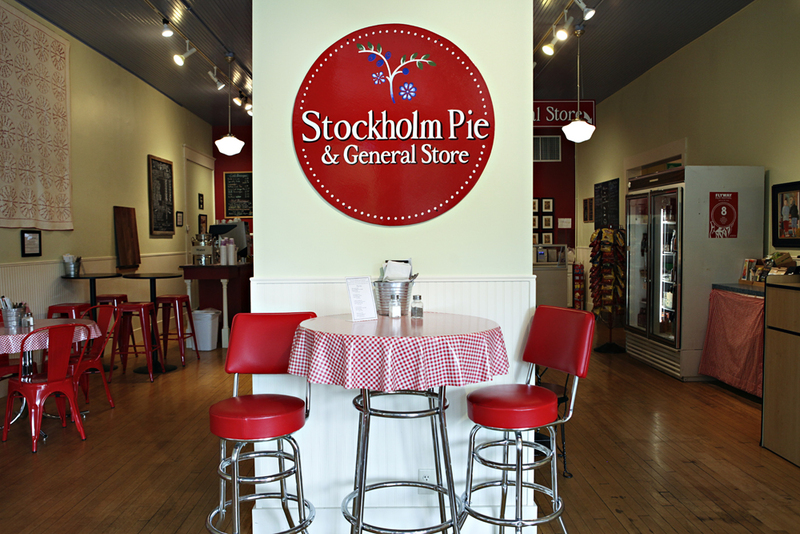 Knowing there was a set of mini blueberry and apple pies waiting at the Stockholm Pie Company, we didn't dawdle on the road. None of us were willing to risk arriving after 5 p.m. to find the doors locked with those precious pies inside. We took possession of our desserts at 4:47 p.m. (phew!) and vowed to eat them beside Lake Pepin on the way home with hot drinks to make up for the lack of scenic overlook stops on the way down. From the tiny town of Stockholm, we cruised another few minutes to A to Z — past towering cornfields, a country chapel and charming homes dressed up in Sweden's signature falu red paint. 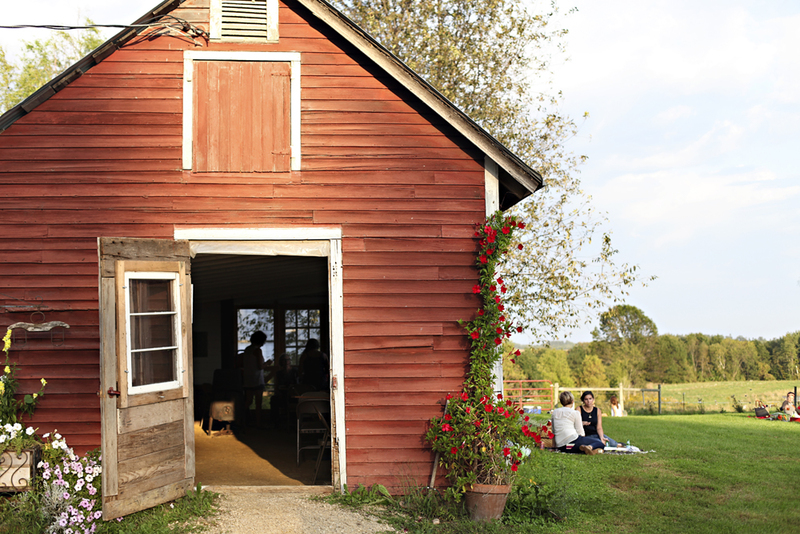 By arriving at the farm early in the evening and late in the season, we had our choice of picnic locations and chose prime real estate next to the center barn. 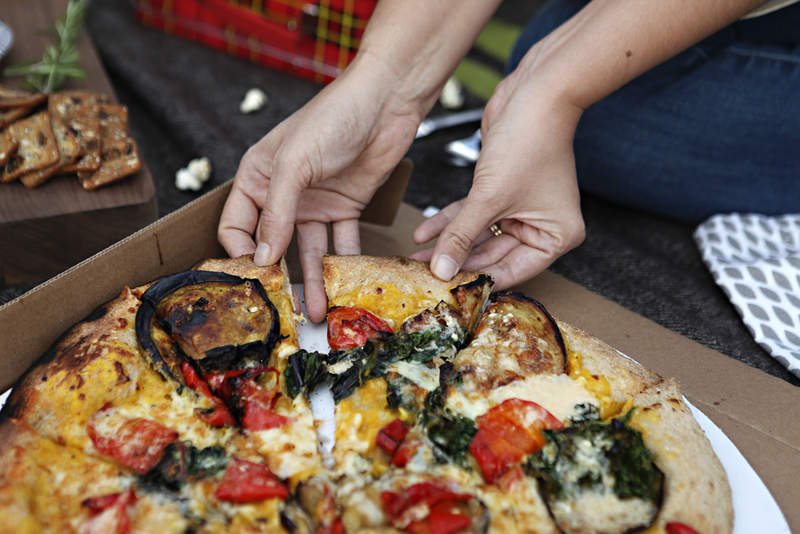 One of the cardinal pizza farm rules is that you BYO-everything except pizza, wine and beer. Everybody interprets this differently, so it's like a choose-your-own-adventure picnic. You'll see 20-somethings sitting on beach towels that double as napkins, but you'll also see 60-somethings who set up three-course meals at candlelit folding tables. I think we landed somewhere in between. 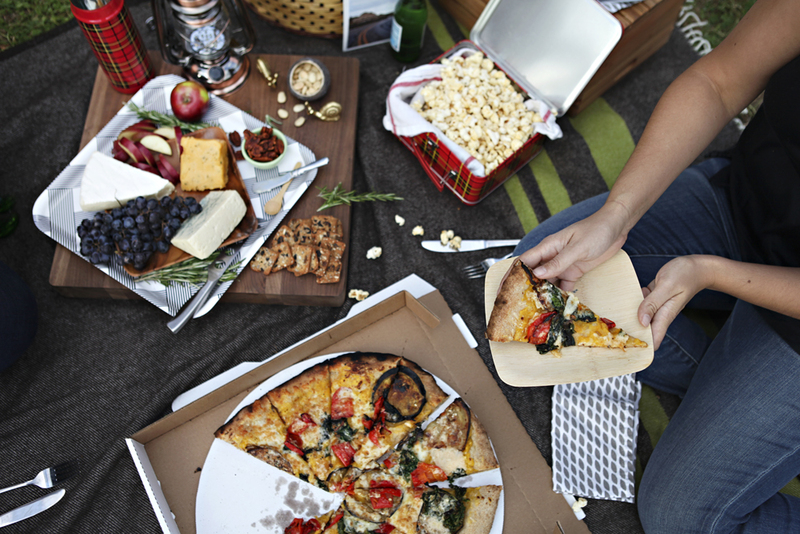 At the height of summer, extra snacks are a smart idea because it can be up to an hour wait for pizza. However, our pie came out of the oven so quickly that we scarcely put a dent in the cheese plate and kettle corn we'd packed. Using ingredients grown on the farm itself, A to Z consistently churns out seasonally driven pizzas with unexpected flavor profiles that you won't find anywhere else. In the many years I've been making this pizza pilgrimage, the ingredients include everything from cilantro pesto and heirloom chili peppers to creamed leeks and winter squash — not a single visit has fallen flat in the flavor department (which explains why we barely had two slices leftover). After soaking up all the farm vibes, we packed up and hit the road homeward, chasing the setting sun to find the perfect spot in Maiden Rock to break out the dessert with hot coffee and chai. Legend has it that Winona, the daughter of Chief Red Wing of the Dakota Sioux, threw herself off of the nearby bluffs rather than marry a man she didn't love — and that's how Maiden Rock got its name. These maidens, however, stayed firmly planted on the ground. 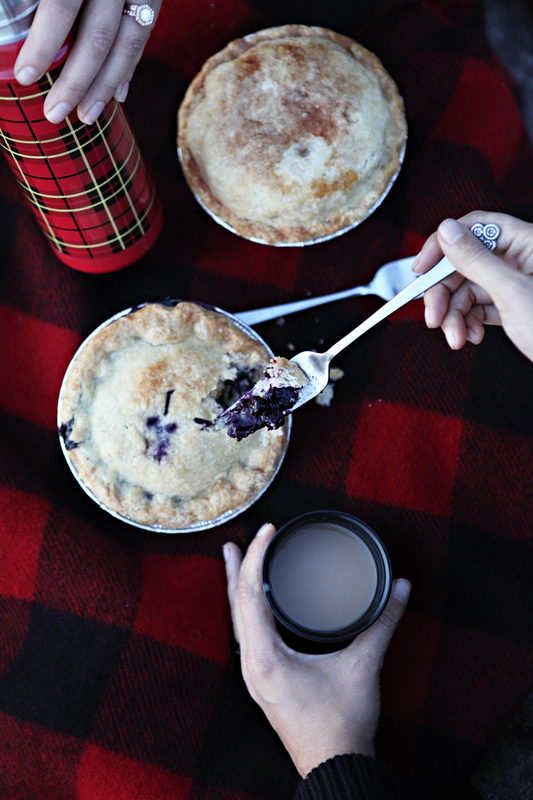 As the warmth of the day faded, the three of us shared apple and blueberry pies straight from the pan and raised our steaming mugs to a fall food adventure well done. Thank you (many times over) to our incredible sponsors at Thermos® for supporting The Midwestival mission and funding this adventure. 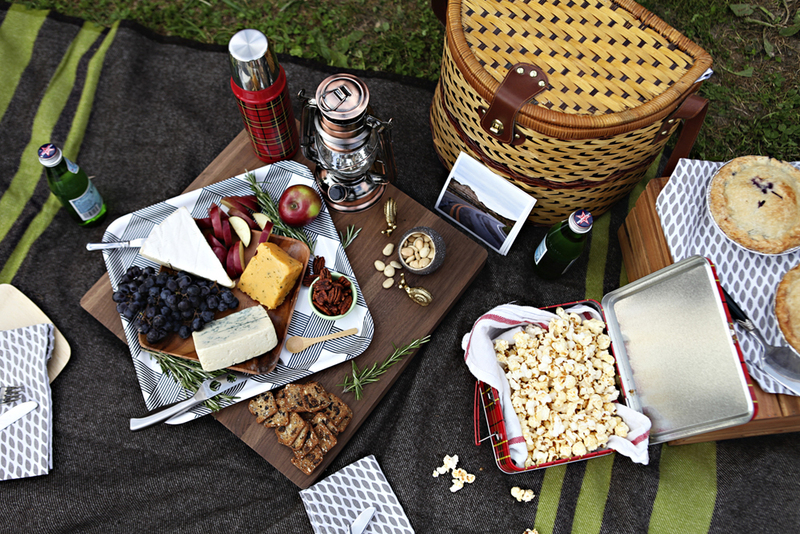 This classic Chicago-based brand is responsible for keeping the world's drinks warm since 1904 and we were so thrilled to take their Heritage Plaid collection along for this ride. I've been using that cute cranberry travel tumbler every single morning since we got back from this trip —it's the first I've ever owned that doesn't leak! 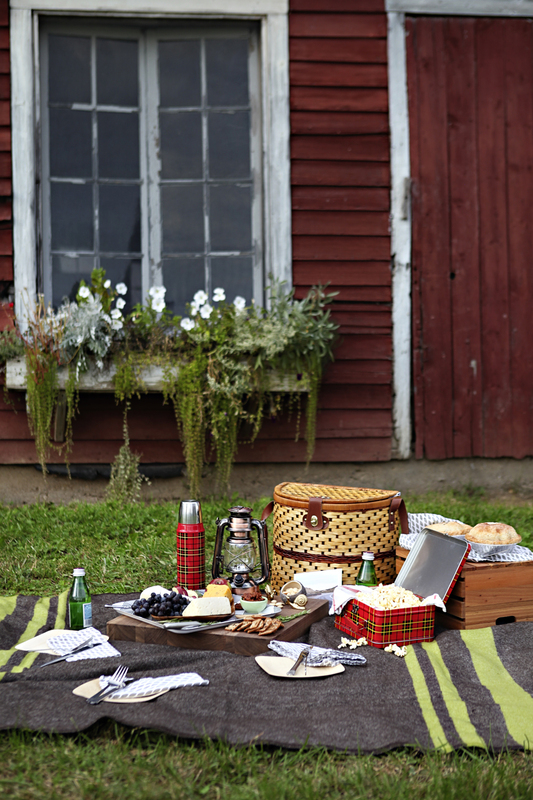 If you want to try these goodies out on one of your own road trips, Thermos® is giving away a red Heritage Plaid set to one of our lucky readers. The set includes the Compact Bottle, Travel Tumbler and Metal Lunch Kit (all of which are pictured in our story). If you're interested in visiting A to Z Produce & Bakery's pizza nights (which they've been hosting since 1998), you can find more information here. They are open Tuesday evenings from March through the end of October. If you're interested in finding the pizza farm nearest to your house (of course you are, duh), check out our Midwest Pizza Farm Directory. There are a lot more of them than you might think!